T've said it before, I'll say it again, Danny Rose is not as bad as some fans make out, yes he has areas he needs to work on that make him poor but he is a work in progress. Converted from a winger he is a beginner as a defender so positional play is not natural to him and that causes problems for the rest of the defence who have to cover for it, which affects their game. In he early part of last season, although many fans would never admit it, he was good, yes genuinely good. The reason was because he was working well with the left sided midfielder who was also helping defensively. He was actually one of our better players, there were still mistakes and his balls into the box weren't good enough but he demonstrated he did have a future at left-back within the right system. He surprised me at the start of the season but then tailed off. In a system that leaves him exposed he comes a cropper, he gets exposed and that's when he makes rash challenges, is too fat from the centre-back and gets beaten to often. We have a new Head Coach who is tasked with improving the youth, improving all players and laying our foundations for the future within his new system. Rose deserves a clean sheet to see how he progresses under the new boss and whether he can make the necessary improvements in positional play, decision making and crossing. If he can and if the system suits him then he may well surprise again. Tottenham made it clear they wanted to keep him prior to signing Ben Davies after West Ham showed interest. The club strategy is young players who can improve and Rose fits that bill. We are not Man Utd or Chelsea, we can't just go and throw money around, we have a budget we have to work to which is dictated by our income. Celtic + Dagenham & Redbridge who plays in which game? Rose is a home grown player and as we are seeing this window they are important, the more we can produce from the Academy the better, saves on transfer fees and saves on wages initially. Rose has now had a few weeks to work with Pochettino so they have both had time to decide if Rose staying was the right move. Both agreed it was and Rose is delighted. "I'm over the moon to sign my new contract. I'm glad it's been sorted and now I can focus on the start of the season. Working under Mauricio has been brilliant. "It's been a hard couple of weeks, but we've just got back from North America where we went through our first three games unbeaten, so we're all happy and everyone has a good understanding of what the manager wants to implement." He and Ben Davies primarily will have over 50 games to be selected for so have plenty of opportunity for game time and while no assurances will have been given about Premier League starts I'm sure assurances have been given about the number of games he'll play and that some of them will be in the Premier League. "We've brought in Ben Davies now and I'm hoping he can improve me, and likewise I'm hoping I can help him settle in and help him improve his game as well. There are two or three good players in each position at the club and we're all excited for the start of the season. "This season, first and foremost, I want to stay injury-free. I had a small, annoying injury ... and when I came back I was a bit inconsistent with my performances so I'm determined to improve on. "From a club point of view I hope we can be a bit more consistent as well because we lost to and drew with teams that we feel we should be beating last season. While this season will be a difficult one, we're all looking forward to it." While he will never put a foot right to those that hate him, the rest of us may just not rate him will watch with interest how he takes to the new system and how he develops within it, he may just surprise a few people, although it's doubtful they'll admit it. Danny Rose it seems knows he was inconsistent after injury and part of improving as a player is not pretending everything is great when it isn't. Recognising a poor performance or areas for improvement is an essential element in any eventual improvement. If you don't see there is a problem then you can't and won't do anything about it. His words suggest they are not just standard comments for the media but comments of genuine recognition that there was a problem and it will be worked upon, that is the right attitude in a footballer, good for you Danny Rose. 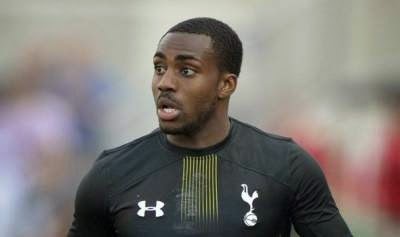 0 Response to "Will Danny Rose surprise us again"